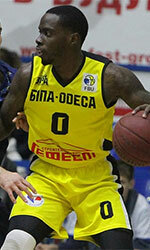 Lille Metropole Basket (ProB) agreed terms with 26-year old Nigerien center Roger Aboubakar Zaki (214-88). 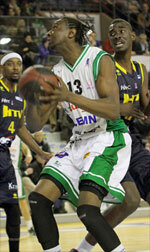 He has played for the last two seasons at ESSM Le Portel Cote d'Opale (ProB). In 47 games he had 4.4ppg and 2.7rpg last season. Aboubakar Zaki's team made it to the French Cup final in 2009. He has played previously for four other France teams: Gravelines-Dunkerque, Sluc Nancy, Denain Voltaire and SO Maritime Boulogne.